Today living in the 21st century, we still do not have proper treatments for many diseases like diabetes, Parkinson's Disease, Alzheimer's Disease etc. These diseases take life of thousands of people every year and doctors and researchers have been trying to study the progress of these diseases and finding some means to treat them. Their hard work is now showing us some light of hope for the treatment of these till now incurable diseases. The light of hope is - the Stem Cells. All of us might have heard or read about them. Everyday there is some or the other news about stem cells, about their potentials, on finding of new stem cell lines or on ethical issues related to them. 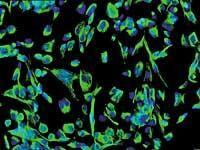 Knowledge about stem cell science and potential applications has been accumulating for more than 40 years. In the 1960s, it was recognized that certain mouse cells had the capacity to form multiple tissue types, and the discovery of actual stem cells from mice occurred in 1971. The study of human stem cells is still in infancy and the vast majority of experiments and investigations have been done in mice. The isolation, culture and characterization of stem cells from human embryos was reported in November of 1998.